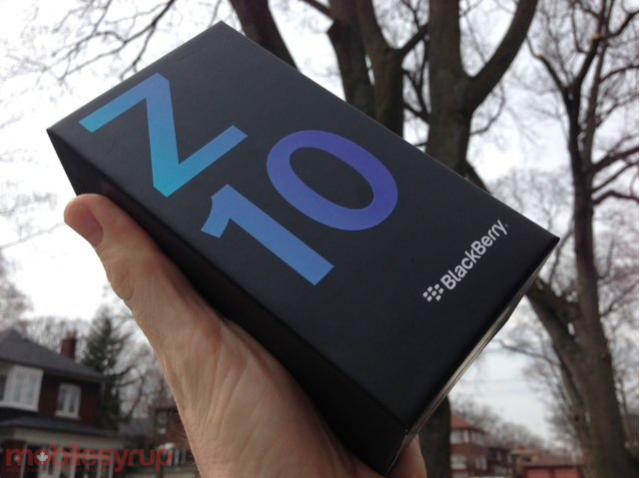 Update: Winner announced in our BlackBerry Z10 contest! Update: This contest is now over. We’re happy to announce that long-tim commenter, Facebook and Twitter follower Evan Krosney has claimed the Z10. Congrats Evan! Here’s your chance to take home the all-touch BlackBerry Z10! This is the first LTE-enabled BlackBerry 10 device and it has a 4.2-inch display (1280 x 768), 1.5 GHz dual-core processor, 2GB RAM, 8MP camera with the new Time Shift feature… and it could be yours! This contest is easy to enter. All you have to do is either follow us and re-tweet this contest on Twitter (@mobilesyrup), “Like Us” on Facebook (Facebook.com/MobileSyrup), or join us on Google+. All current Facebook, Twitter and Google+ followers are automatically entered. This contest closes on May 7th and we’ll announce a winner shortly after!